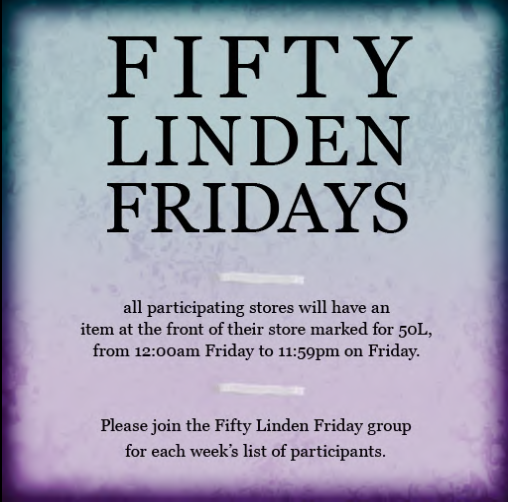 « Fifty Linden Friday: #39! IMPORTANT: There is SL maintenance scheduled tonight from 10pm SLT to 3am SLT, so some (hopefully all) of our vendors will be leaving their items out until Saturday at 12am SLT, to ensure you have plenty of time to get them. So don’t freak out.